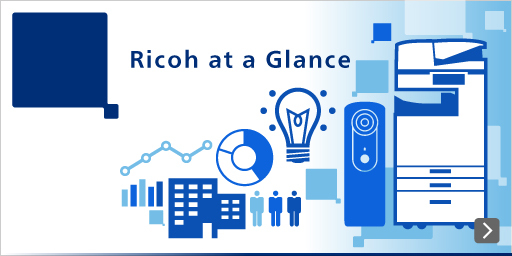 Four new products from Ricoh Company, Ltd. (President and CEO: Shiro Kondo) — the Ricoh Unified Communication System P3000, and the compact digital cameras GR DIGITAL IV, CX6, and RICOH PX — came out as winners of the “iF Product Design Award” at the “iF Design Award 2012.” This prestigious annual international design award ceremony is held by iF International Forum Design GmbH at Hanover in Germany. The iF Design Award is a leading design award that has been presented by iF International Forum Design GmbH since 1953 to industrial products from all over the world that display superior design. Each year there are many applicants for this award. The winning products are selected from four categories: “product,” “communication,” “material” and “packaging.” Award winners are highly esteemed as products with a superior design that is recognized internationally. One of these awards, the “iF Product Design Award” evaluates not only superior originality and innovation in design, but also considers the functional aspects of the product, including ease of use, quality and environmental friendliness. This year, there were a total of 4,322 applicants from 48 countries from all over the world. Out of these, 1,218 products received awards after a rigorous examination. This compact and light-weight product is highly portable and is packed with efficient functions that include a camera, microphone, speaker, wired & wireless LAN, etc. to make communication through simple connection and superior operability possible. It is based on a completely new concept of “communication anytime, anywhere, and with anyone,” which is different from conventional video-conference and Web Conference systems. The GR DIGITAL IV (launched October 2011) is the latest model in the GR DIGITAL Series, which was launched in October 2005. It is a high-definition compact digital camera that inherits the concept of the GR Series, a top end compact film camera that went on sale in 1996. Since its launch, the product has been well received among a wide variety of customers, including professional photographers. The GR DIGITAL IV has the highest definition and the quickest shooting capability of all GR cameras, thanks to its new image engine, the GR ENGINE IV, and its Hybrid AF System. The CX 6 is a compact digital camera with a minimum ultrahigh- speed auto focus time of 0.1 sec., and a 10.7× optical zoom lens. It uses an ultra bright LCD monitor that is about 1.7 times brighter than the previous model, and also has a zoom assist display function that enables checking of the framing position in a small picture that is simultaneously shown on the LCD monitor during telephoto shooting. The RICOH PX is a waterproof, dust-proof, shock-resistant compact digital camera with a 5× optical wide-angle zoom lens. With its new fully-flat design, it is easy to carry around. It also offers the fun option of trying different combinations of body colors and protective jacket (optional) colors.